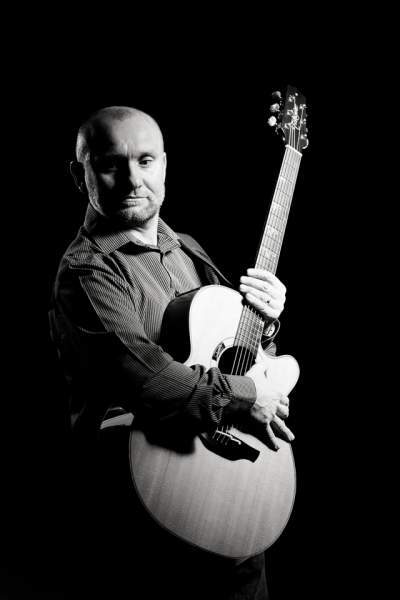 Gary Anderson is a well known singer/songwriter from Montrose on the North East coast of Scotland. He has played with various bands around the area and has gained a wealth of experience covering a wide range of instruments and genres. His solo performances showcase his eclectic style of playing and singing – mixing his own original material which covers a wide range of subjects and inspirations, with a few folk, rock and country covers, all stripped down to great effect using only his voice and a guitar. He also currently supplies vocals and guitar with Rock band F’n’3Gs, and performs in a duo with his sister under the name Kith & Kin. Gary gigs all over Scotland and has performed in Norway and Ireland as well as supporting Dougie Maclean, Skerryvore, Donnie Munro, The Blockheads, Big country, Coast, Boo Hewerdine, State of the Union and Cathryn Craig & Brian Willoughby. Other notable appearances have included Celtic Connections, Dougie MacLean’s Perthshire Amber Festival, Belladrum Tartan Heart Festival, Montrose Music Festival, The Ugie Folk Festival, Edinburgh Folk Club, Montrose Folk Club, The Wee Folk Club. His second CD Hair o’ the Dog is available via iTunes and Amazon as well as in person at gigs. Songs from it are also getting plays on radio stations both in the UK and Overseas.